The 8th China Cross-Straits Technology and Projects Fair (CSTPF) will start on June 18 in Fuzhou Straits International Exhibition Center. 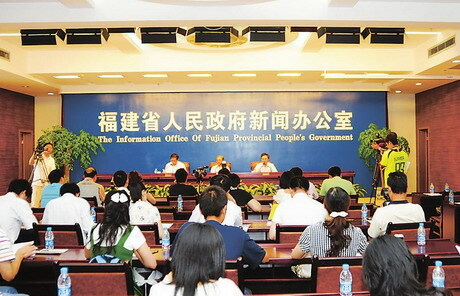 XIAMEN, Fujian, June 19 (Xinhua) -- The Chinese mainland and Taiwan kicked off the largest-ever grassroot-level forum Saturday evening, which is expected to attract more than 10,000 Taiwanese in the next seven days. The GACA also pledged to open new air terminals for cross-Strait passenger and cargo transport, and to operate new flight routes between the West Strait Economic District and Taiwan. The Eighth China Cross-Straits Technology and Projects Fair on June 18 will highlight areas.